Talking about Trondheim highlights, right? Let’s see a few. 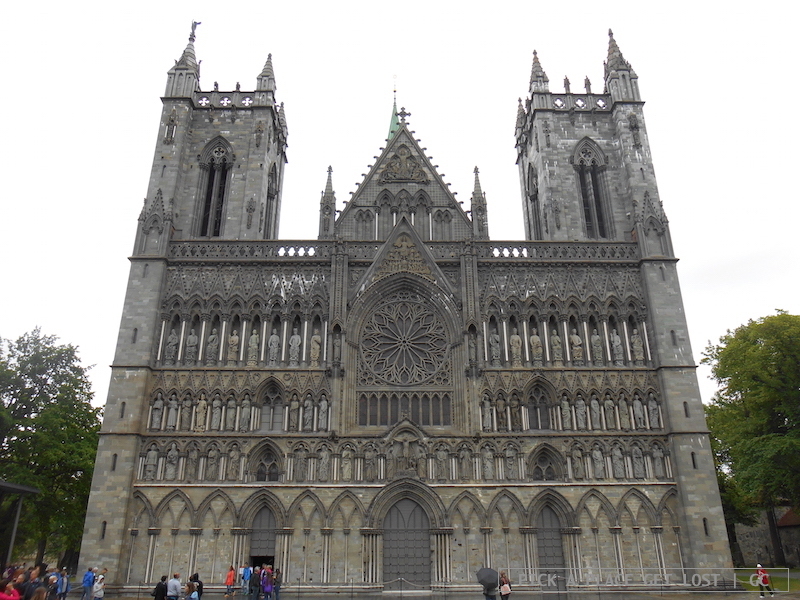 Nidaros Cathedral is a good start. 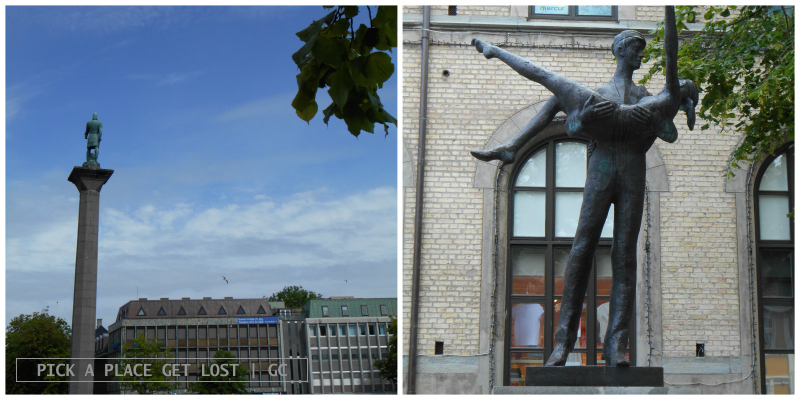 Turn around when you’ve reached Gamle Bybro from Kjøppmansgaten, and you won’t fail to glimpse it through the trees. As you get closer, you will then notice how massive it is, what with its thick walls and unimaginably tall and pointed tower bell roof. But it’s the facade that leaves you breathless. One of the most breathtaking church facades I’ve ever seen. Wow. 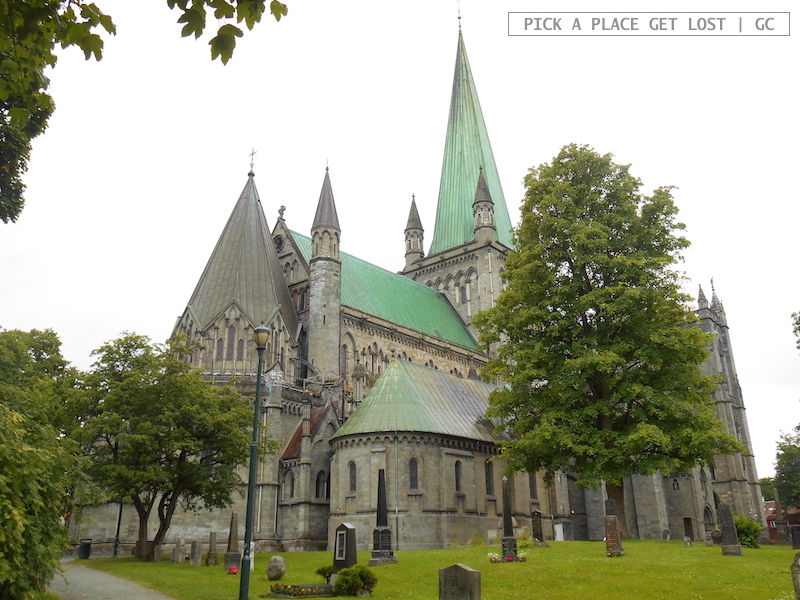 No wonder Nidaros Cathedral is one of the most important religious buildings in Norway. Fun fact #1. Construction began in the 11th century on the grave of Saint Olav, aka the Norwegian king that died in the Stiklestad battle in 1030. Fun fact #2. King Olav’s cult grew extraordinarily popular in the Middle Ages, and pilgrims flocked to Trondheim to visit its grave. Fun fact #3. In the 1990s the St Olav Ways (i.e. the Pilgrim Paths to Trondheim) were officially established, with the Oslo-Trondheim path (643km) walked by thousands of pilgrims every year. And near Nidaros Cathedral there’s also a proper Pilegrimskontoret (Pilgrim Centre). 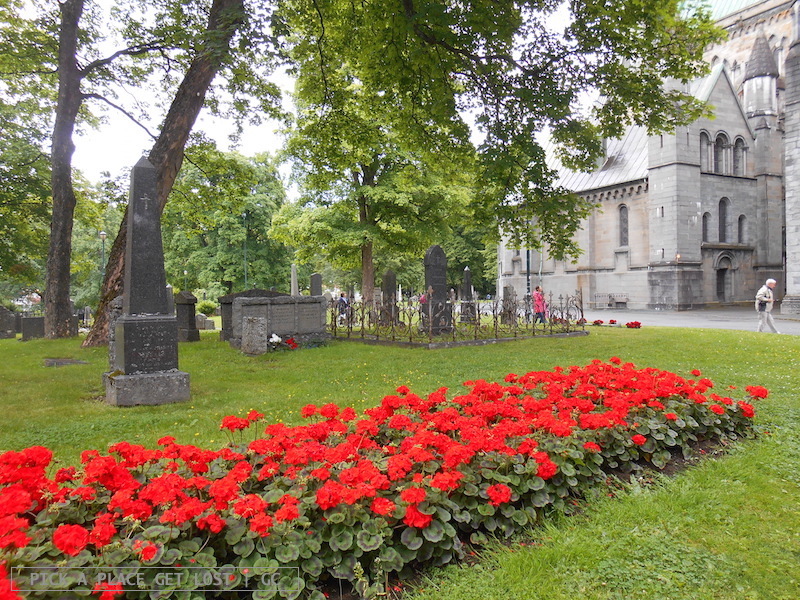 I’m not the religious type (quite the opposite, in fact), but I find this whole Nidaros pilgrimage thing inexplicably fascinating. 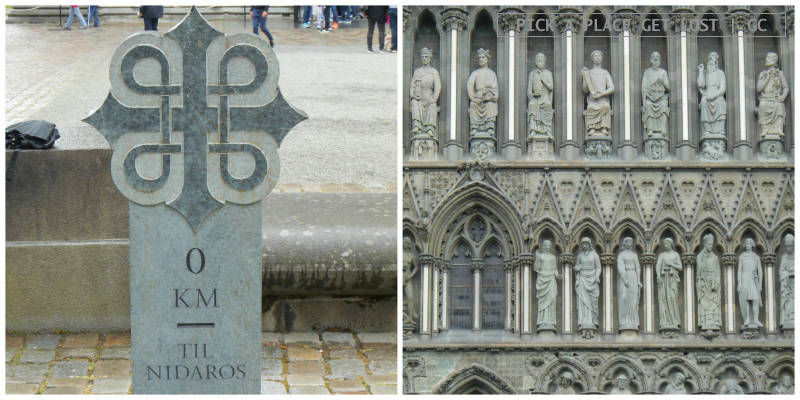 In front of Nidaros facade you won’t fail to notice a low stone pillar (similar to a milestone) surmounted by a symbol, the St. Olav cross combined with a looped square (also St. John’s arms). Well, that’s the pilgrimage logo. The pilgrimage route is scattered with identical pillars, while the logo appears on street signs in and outside Trondheim to signal the path. 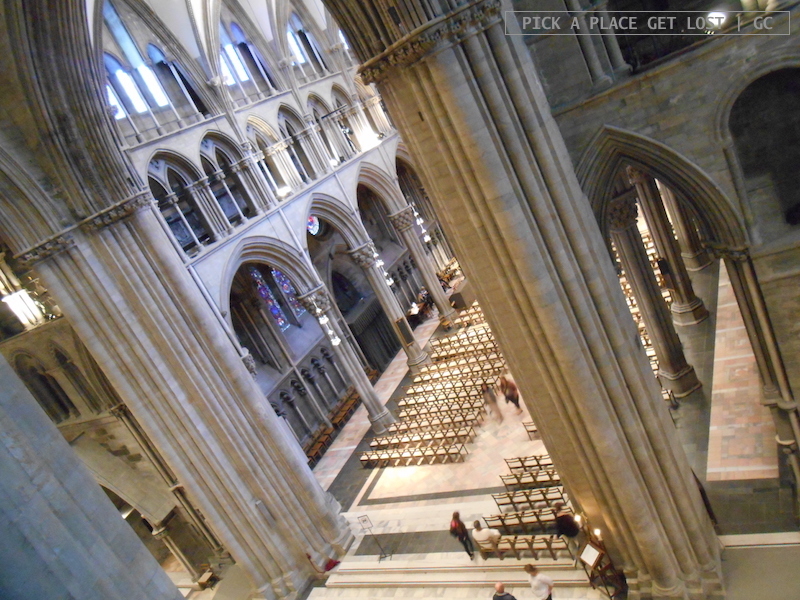 I visited the Cathedral, whose organ behind the facade is truly beautiful, and climbed the awfully narrow staircase to the top of the bell tower. Mind you, I didn’t say ‘narrow’, I said ‘narrow’. Go see for yourself! But oh what a view from up there. 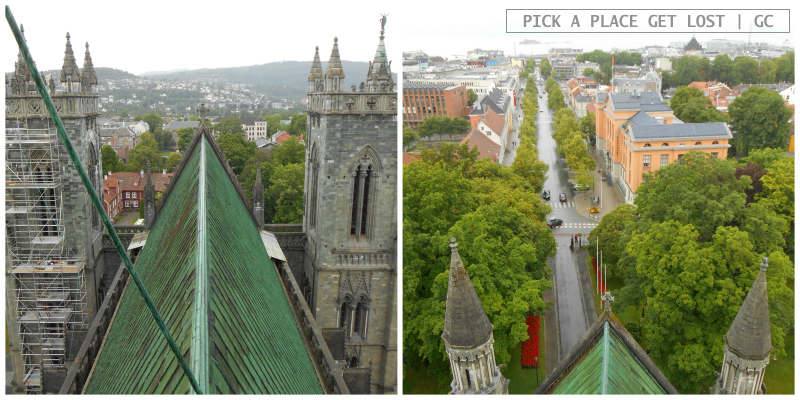 One word to describe Nidaros Cathedral? Wow. Moving on to the city centre now. If you ask me, I won’t be objective. I can’t and I don’t want to. Trondheim is one of the loveliest cities I’ve ever visited. 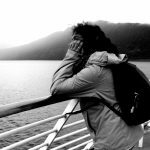 The best way to have a look around is to just do it without caring about the map or going the wrong way. 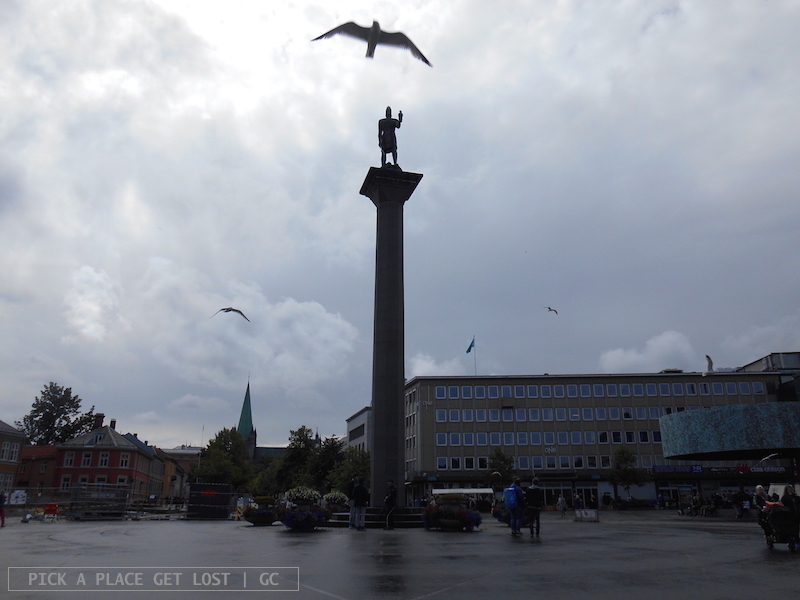 Sooner or later, you will end up in Torvet, aka the Market square, where towering in the centre is a tall column with a statue of Viking Olav Tryggvason, the city founder. Nordre gate, with cafes, bookshops and (last but not least) the Tourist Office. But then, I love tourist offices, so maybe it doesn’t count. It’s still very useful to go have a look around, grab a few maps and leaflets and/or ask for recommendations on trips or hikes in the Trøndelag region. 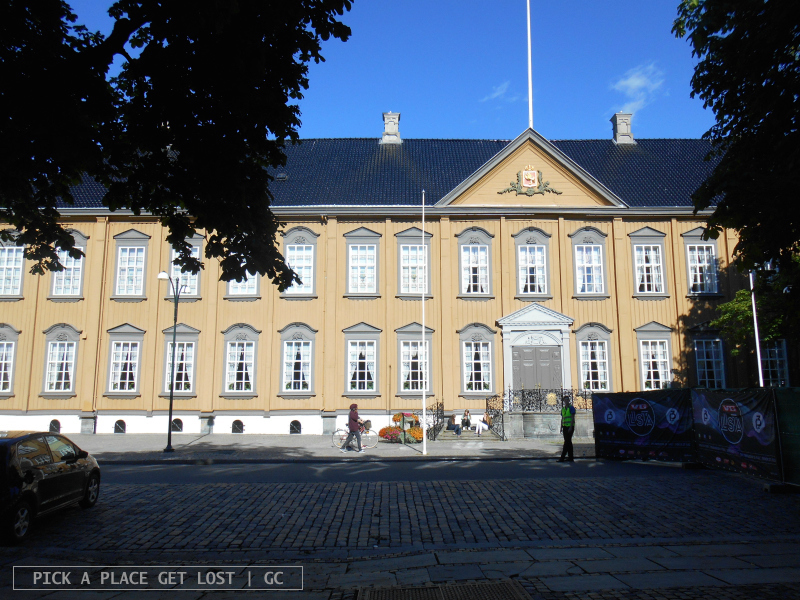 Stiftsgården, Scandinavia’s largest wooden palace, used as official residence of the Norwegian royal family in Trondheim. Our Lady’s Church, which definitely deserves a visit. Situated at the top of Nordre gate, it has massive stone walls that contrast with its cosy and warm wooden interiors. Plus, the area by the entrance is in fact a tiny kitchen/cafe where hot drinks are served free of charge to those in need. 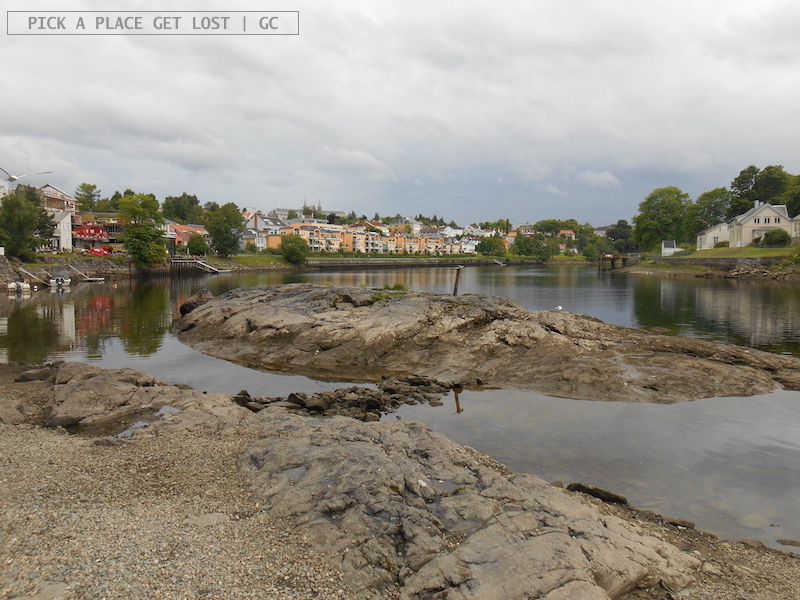 Bakklandet, which is located by the Nidelva waters, just across the old bridge, and was Trondheim’s first suburb. It has recently been refurbished, and is now all narrow streets and cobblestones, white houses and tiny cafes. 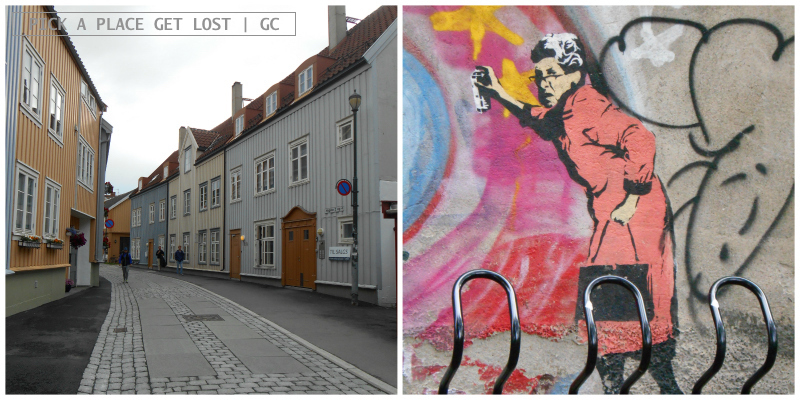 It makes for a pleasant stroll, and reminded me of Gamle Stavanger, the old part of the city. 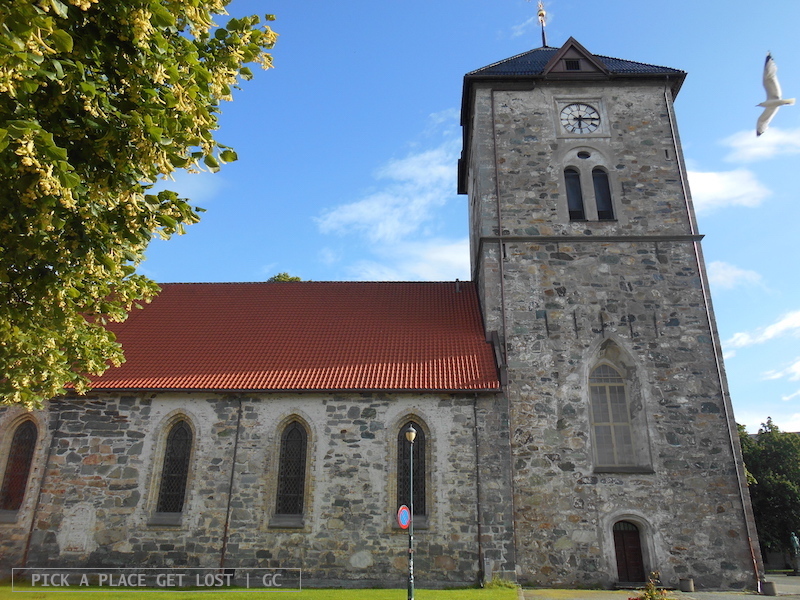 This entry was posted in Norway, Norway 2016 and tagged nidaros, norway, torvet, trondheim, trondheim city centre by Giorgia. Bookmark the permalink.